Lemon GreenTea: DINA DELA PAZ-STALDER, 100 MOST INFLUENTIAL FILIPINA IN THE WORLD. DINA DELA PAZ-STALDER, 100 MOST INFLUENTIAL FILIPINA IN THE WORLD. 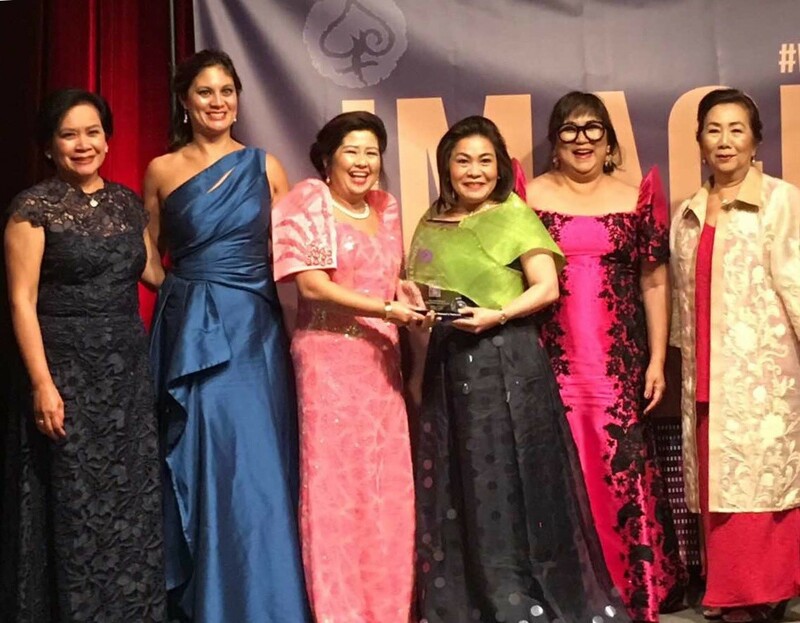 Dina Dela Paz-Stalder, a skincare expert, was awarded with this prestigious recognition, specifically in the Founder and Pioneer Category (Global FWN100 Award) in Toronto, Canada on October 27, 2017, by Filipino Women’s Network. She was selected from an outstanding field of nominees from around the world. 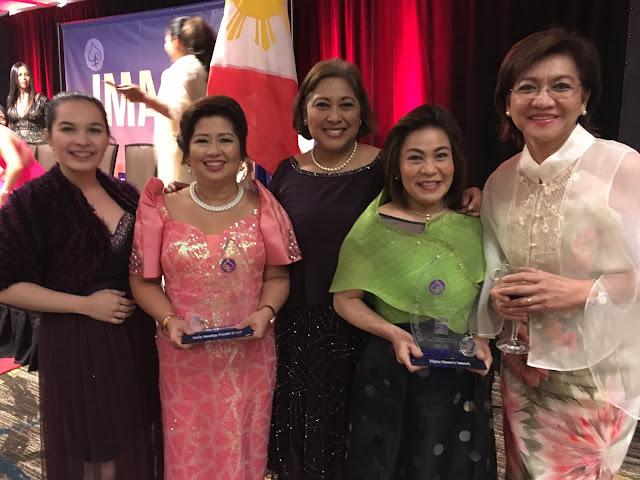 The Global FWN100 Award™ recognizes 100 Filipino women who are changing the face of leadership in the global workplace. It distinguishes them for their outstanding work in their respective fields, and further recognizes them for their achievement and contributions to society. Dina Dela Paz-Stalder’s award and global recognition is another evidence of Filipino pride as she proves that Filipinos are also global leaders in terms of skincare innovations and extraordinary leadership. Started from just a small steel pot for skincare formulations, she now owns and leads the Stalder Group of Companies which includes Stalder Laboratories Incorporation (a cGMP-certified, Halal-certified and FDA-approved manufacturing plant located in San Pablo, Laguna), the BCP Dermatological Corporation (the marketing arm), and the Diana Stalder Face, Body, Skincare Center (formerly known as Dermaline Facial Center). Aside from being an entrepreneur, Dela Paz-Stalder is a strong advocate for causes such as the environment and community development. For community development, it would have been easier to build a factory in an industrial zone, but as a farmer’s daughter, the grit and determination that served her well in business is something she applies equally to her advocacies. So she opted instead to empower her town mates, and give back to her hometown. As far as environment is concerned, at all levels of production, she is adamant about waste segregation and sludge/water recycling. Working with the Mother Earth foundation, the community has also produced malunggay tea, mushrooms, and green charcoal. With this, Dela Paz-Stalder was recognized with a blue ribbon award from the Laguna Lake Development Authority, an honor bestowed upon environmentally responsible businesses. "I feel overwhelmed with this recognition, as I did not expect to be given this prestigious award.. Being one of the Most Influential Filipina Woman in the World Award: Founder & Pioneer gives me the opportunity to show my capability as a Filipino and as a woman in inspiring business entrepreneurs. Now, I am more motivated to encourage more people with my story - from my humble beginnings to the dazzling height of success. May we all continue to work together, nurture and empower this unique group, FWN," said Dela Paz-Stalder.